It seems Amber Rose has just solved a great mystery! 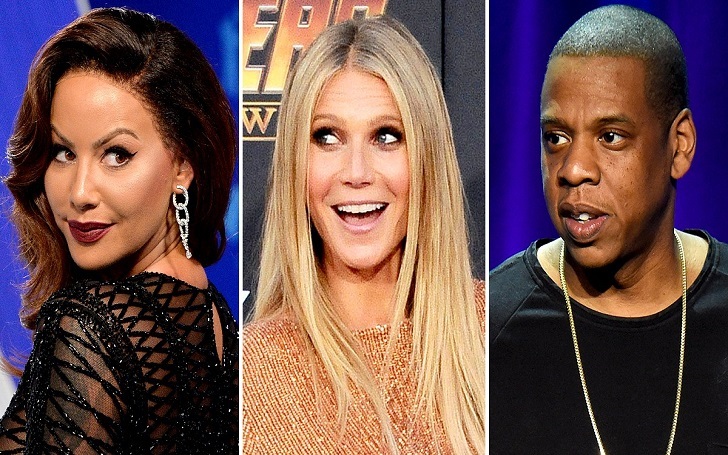 The actress and model has claimed that Gwyneth Paltrow is “Becky with the good hair,” the woman who seemingly came between Jay-Z and Beyoncé. On the latest episode of Spencer Pratt and Heidi Montag's podcast, the 34-year-old television star said, "I definitely think that Gwyneth Paltrow is ‘Becky with the good hair … I feel like she’s the one who was, like, f—king Jay-Z. Make Speidi Famous Again." They were like friends, and then, like, you don’t see Gwyneth Paltrow with Beyoncé anymore. It just seems like she was the one that was f—king Jay-Z, and now Gwyneth lost her husband, but like Beyoncé’s still with Jay. A Perfect Murder star Gwyneth, 45, who ended her marriage with husband Chris Martin in 2014, has currently been engaged to Brad Falchuk. Fans have speculated about “Becky’s” identity since Beyoncé sang the lyric, “He better call Becky with the good hair,” on her “Sorry” song featured on her 2016 visual album Lemonade. Beyoncé, 36, and Jay-Z, 48, who have been married since 2008, share daughter Blue Ivy, 6, and twins Rumi and Sir, 13-month. During an episode of Netflix’s My Next Guest Needs No Introduction in April, Jay-Z opened up about being unfaithful to his wife. I want to have the emotional tools that it takes to keep my family together. And much like you, I have a beautiful wife who’s understanding and knew I’m not the worst of what I’ve done. We did the hard work of going to therapy and you know, we love each other, right? So we really put in the work. Gwyneth, meanwhile, has been good friends with the married couple for years.